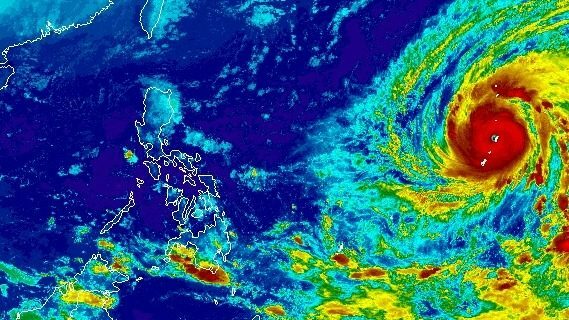 A massive typhoon slammed into a U.S. territory in the west Pacific, lashing the Northern Mariana Islands with gusts of Category 5 intensity Wednesday night local time. Super Typhoon Yutu brought to bear maximum sustained winds of about 180 mph — much more powerful, in other words, than the historically powerful storm that hit Florida two weeks ago. Meteorologists described the storm as not only “Earth’s strongest storm of 2018” but also “one of the most intense hurricane strikes on record for the United States and its territories.” The more than 50,000 people who live in the Commonwealth of the Northern Mariana Islands faced a storm surge of up to 20 feet and rainfall of up to 10 inches in certain areas. Michael Ziobro, a meteorologist with the National Weather Service in Guam, told NPR that instruments on Saipan and Tinian “gave out” after recording winds of about 104 mph. “We saw photos, images of destruction from their airport and two other facilities and just debris strewn about everywhere across that island,” Nick Delgado, a reporter at KUAM News in Guam, south of Tinian, told NPR. “So we know that the Coast Guard and other local government officials are working to get things back up and running there but at this point it’s just all hands on deck to get these islands back to normal,” Delgado said. The typhoon’s intensity escalated at an “unbelievable” pace prior to hitting the islands, according to meteorologist Steve Bowen, just two weeks after Hurricane Michael’s intensification in the Gulf of Mexico stunned meteorologists, too.